Though very different in form and style, these pieces are each reflective of the overall theme Schick has chosen for the 2018/19 season: Lineage. Tan Dun drew inspiration for the “Water Concerto” from his childhood in rural China, noting the paramount importance of water in everyday life and, indeed, as the source of life itself. In that sense water becomes a truly universal instrument, one instantly familiar to audiences of all ages and backgrounds. 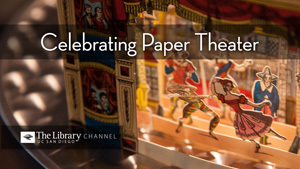 Set half a world away, Stravinsky’s “Petrushka” evokes childhood memories of Russian Shrovetide fairs, and in particular the puppet theater that was a popular feature of those festivals. Originally written as a ballet for Sergei Diaghilev’s Ballets Russes, “Petrushka” went on to become a concert staple and one of Stravinsky’s most beloved scores. Between excerpts Schick and orchestra musicians answer questions from the audience, such as “Why does the harp have different color strings?” (an excellent question) and “How long have the violinists been playing?” This interactivity, sadly uncommon in orchestral music circles, de-mystifies symphonic practice for the uninitiated and helps the students to gain an appreciation for the process of rehearsing and performing as a unified ensemble. 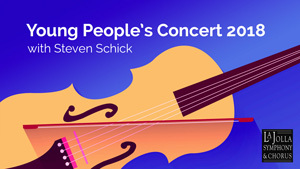 Throughout, Steven Schick emphasizes the joy to be found both in collaboration and in active listening. From its origins in the African-American community of New Orleans in the late 19th century jazz has evolved into the premiere all-American art form, and has been labeled “America’s classical music.” By the 1920’s the genre had been embraced by the mainstream to such an extent that the Twenties and Thirties were declared “the Jazz Age” by author F. Scott Fitzgerald, and European composers including Stravinsky and Ravel incorporated jazz elements into their work. Developing from roots in country blues, ragtime, field hollers, and spirituals, jazz music is notoriously difficult to define as it embraces many subgenres, among them Dixieland, swing, bebop, hard bop, cool jazz, free jazz, Afro-Cuban, modal jazz, jazz fusion, post-bop, and Latin jazz. However varied these styles, they do share some commonalities, chief among them an emphasis on live performance and on improvisation. Classical music performance is judged by fidelity to the written score and the composer’s intentions; by contrast jazz is more often characterized by interaction and collaboration in the moment. Less value is placed on the composer’s contribution and more on the individual musician’s interpretations of melodies, harmonies, and time signatures. Whereas classical music recordings strive to capture a definitive performance of a given work, jazz recordings document just one interpretation of a piece at a particular moment in time. Because of its improvisational nature no two jazz interpretations are alike, and there are no absolutes. It’s an art form that finds its purest expression in live performance, such as in the UC San Diego Jazz Camp’s Finale Concert. 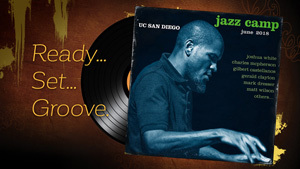 UC San Diego Jazz Camp is an annual week-long intensive workshop for students aged 14 and older. Attendees are mentored by a distinguished faculty of music professionals and educators in a variety of jazz-related topics, including theory, composition, improvisation, critical listening, technology, performance practice, and ensemble performance. Students are grouped into ensembles under the tutelage of a faculty member, and rehearse standards and original compositions for the Camp’s Finale Concert before an audience of family, friends, and jazz aficionados. In the process student musicians are introduced to that combination of group interplay and individual expression, of discipline and spontaneity, that is unique to jazz.